Many cities throughout the world have at least one natural locale which presents a postcard-perfect view of that city. 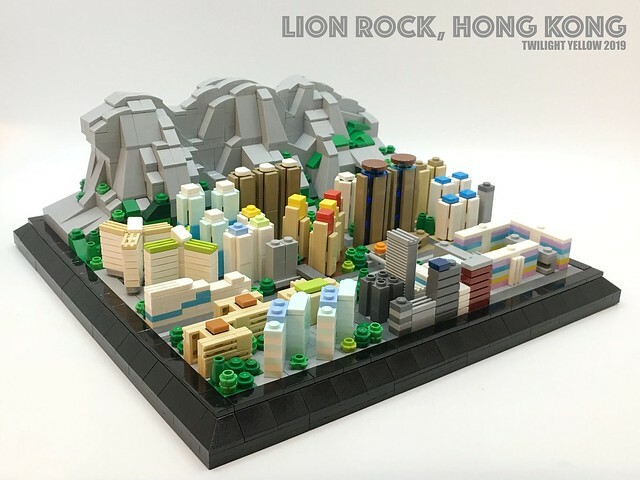 Hong Kong is no exception, as seen in this microscale model of the city by Twilight Yellow which features Lion Rock, a hilly area just North of downtown Hong Kong. The city is filled with modern architecture and pastel colors, which come to life in this scene. The repetition of simple shapes along with a choice selection of grills and tiles and plenty of green spaces captures the clean and colorful spirit of Hong Kong.